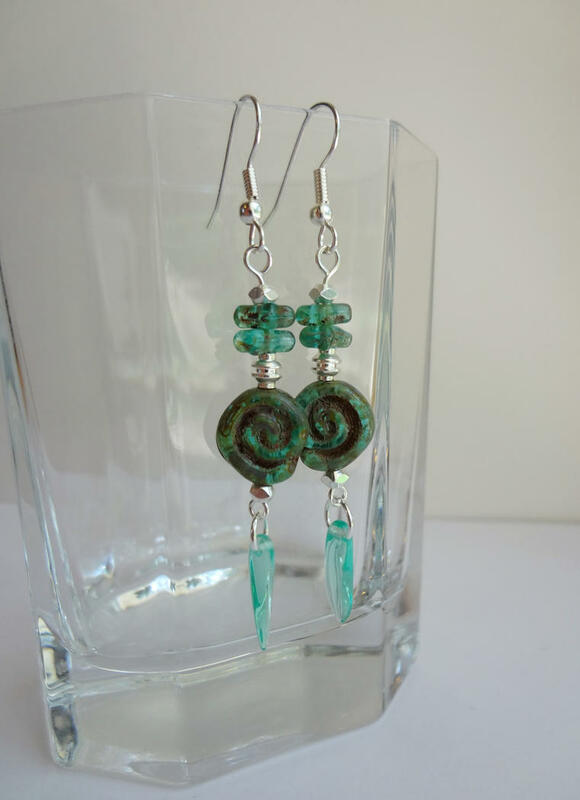 I currently offer an array of jewelry that vary in style and materials all based off my own personal tastes and moods. Many pieces use simple straight lines, patterns with symmetry, and are designed as cute accents to an outfit instead of large statement pieces. Nearly all my metal findings are silver or gold plated and are all lead free. 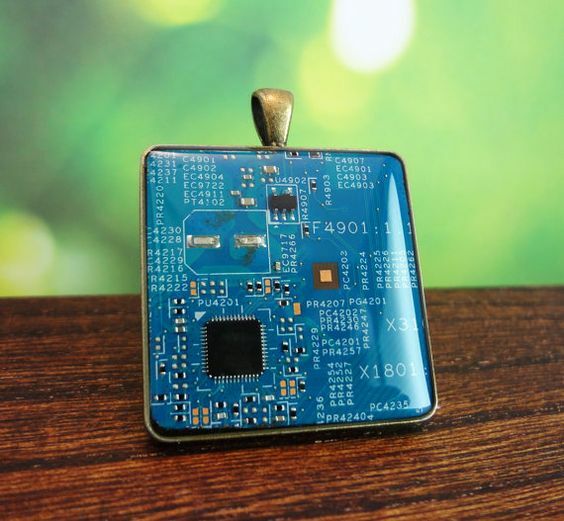 Bezelled pendants are topped with hand poured jewelry grade resin designed to resist yellowing over time and can also be converted into key chains by request. Bracelets are designed to fit around an average female wrist (mine) but lengths are listed and most can be modified to be larger by expansion chains. Smaller sizes can be redesigned by request. 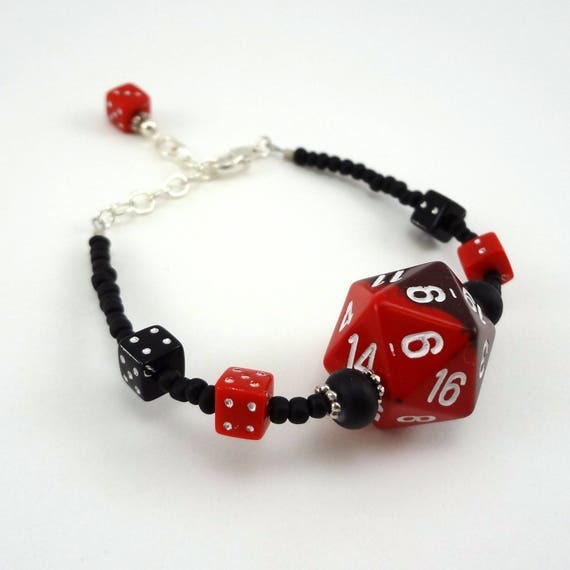 D20 beaded braclet in red and black. 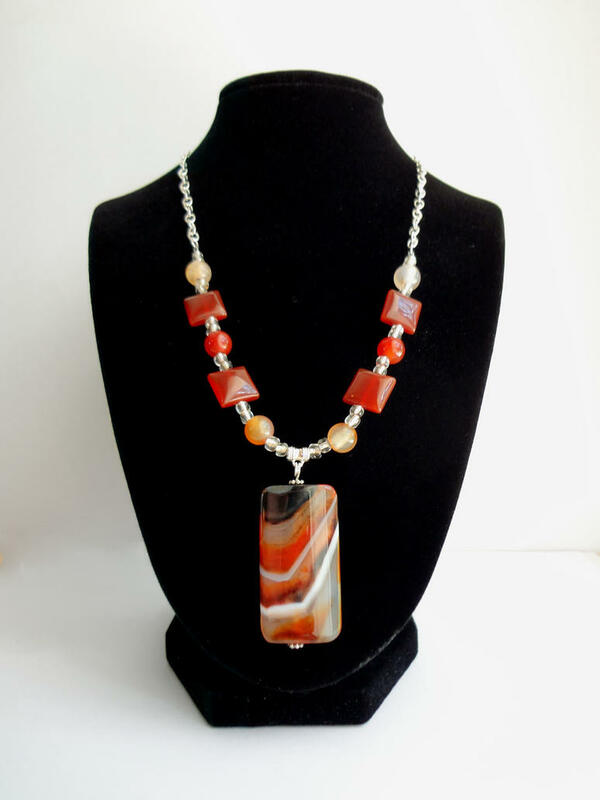 Orange agate statement necklace with silver plated findings. 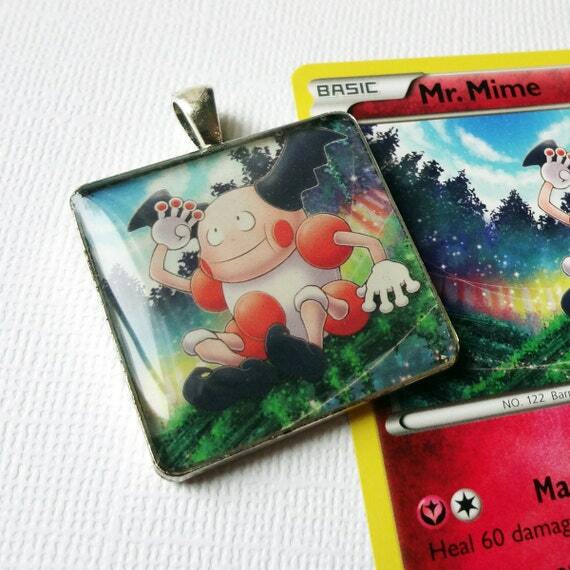 An upcycled genuine Pokemon card sealed in jewelry grade resin. 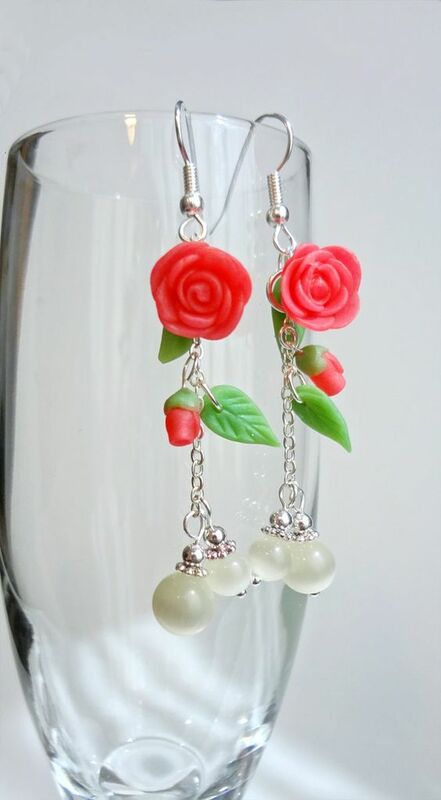 Drop earrings made with pink polymer clay roses and leafs paired with fiber optic (cats eye) beads and silver plated findings. 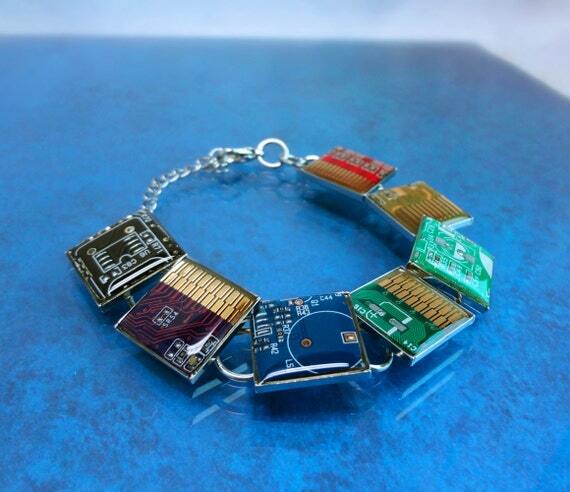 An upcycled bezel bracelet made with resin covered pieces of genuine computer circuit boards. .
Beautiful stone and glass beaded earrings with silver plated findings. Upcycled pieces of computer circuit board sealed under resin. 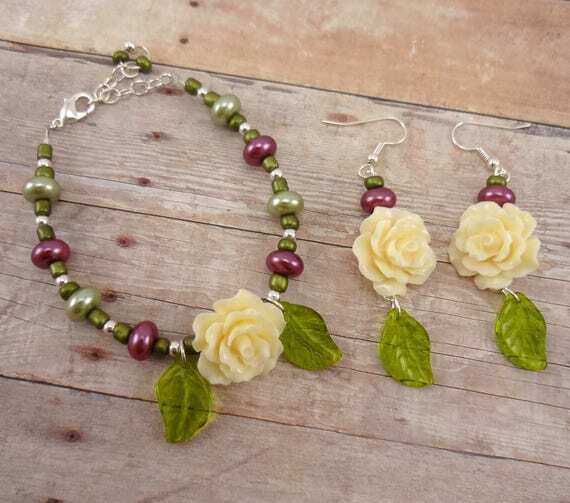 Bamboo coral roses and glass pearls help make this beautiful set.